Temple Station will be accepting all of your expired,unwanted and old prescription drugs on Sat January 26 from 12:00 PM to 3:00 PM. Just bring in your prescription drugs to the front of the station and we'll take care of the rest. 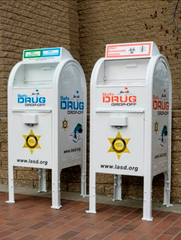 Please make sure you are only dropping off prescription medication. Needles can be disposed of in the containers located in front of the station inside our parking lot.